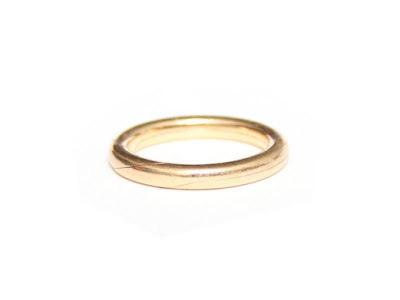 Inspired by a wedding band that has been in Kristen Wentrcek’s family for 100+ years, the 1907 Ring has "a delicate seam across the center which allows the ring to split in half, revealing a secret engraving." WOW. that is beautiful, lady. If my wedding band ever cracks or breaks, I want that as its replacement. @brooke you looked more closely than me! i bet they would do a custom engraving for wedding bands...? Ads are a good excuse for pretty pictures and nice type font. 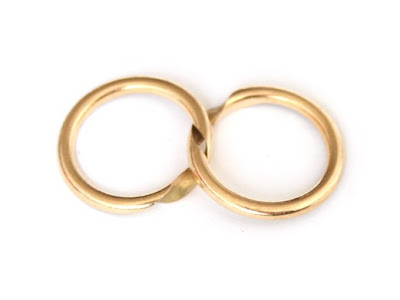 This reminds me of my husband's wedding ring (http://www.krikawa.com/jewelry/body-of-work/item-detail.aspx?id=2021). Their price was a bit hefty for us though, so we took a picture of that ring to a local custom jewelry maker and got it made there. Um, am I allowed to get a new wedding band? "Don't worry your cats still love you." maybe?